Properties in Pauanui average 4.5 out of 5 stars. Stunning waterfront Beach House, beautiful sunset views, perfect location. Property 23: Stunning waterfront Beach House, beautiful sunset views, perfect location. 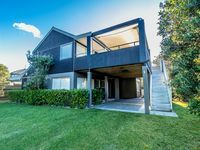 Pauanui Point Studio- only 2 minutes from beach, estuary and wharf. Property 45: Pauanui Point Studio- only 2 minutes from beach, estuary and wharf. Pauanui Beach Bach - Southern End so close! 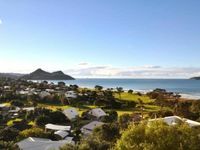 Property 47: Pauanui Beach Bach - Southern End so close! Had such a lovely family holiday at this beautiful spot in Pauanui. The house was a short stroll to the beach and had everything we needed for a great week away with the family. Very comfortable place to stay and very accommodating hosts.